Pacific Community Solutions was founded in 2006 to support nonprofit organizations and local agencies creating positive, local, social change. Pacific Community Solutions, Inc. offers training, technical assistance, consultation and speaker services to community groups, nonprofit organizations, local governments, collaboratives and private-public partnerships. Our focus is promoting democracy through connected and organized communities using an Asset Based Community Development approach. 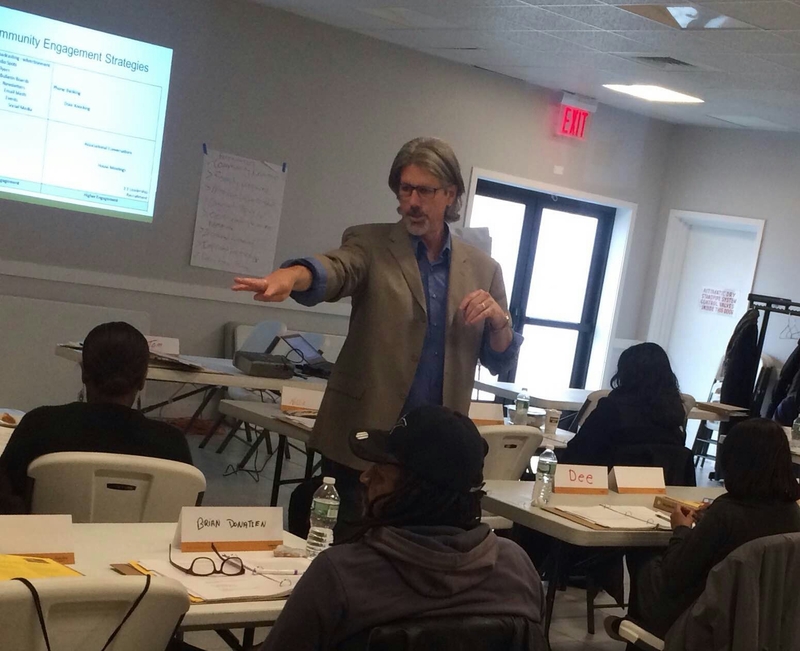 Whether we are developing resident capacity, revitalizing a community development practice, developing strategy for future success or transforming internal organizational systems, we start with strengths and assets. This makes our work more effective, more sustainable after we are gone, and more fun. Our logo is a wave. Waves create change through ongoing, reliable and repeated efforts – rarely in a single event. Waves gather up what was already there, then focus and organize it in a new way to create a greater impact than the water they are comprised of would have otherwise. Then they do that over and over. Most of our communities and organizations have most of what they need to create the change they want. We help them identify it, re-organize it, focus it and act on it. We believe most solutions are local and all solutions are more effective and sustainable when they are developed with and in the communities they are intended to benefit. We help our partners create inclusive environments where the most innovative and effective solutions can emerge. We strive to build capacity in our partners, so that next time they can do it themselves.